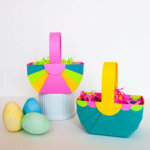 These paint pen Easter eggs are so pretty that this Easter we’re totally passing up PAAS and decorating all of our eggs with paint pen markers. 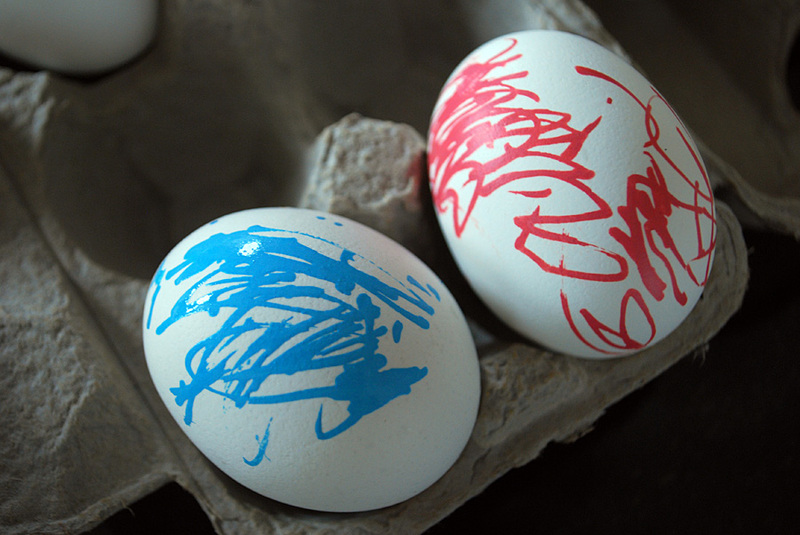 My three-year-old (and budding contemporary artist) Elise decorated this set of Easter eggs using paint pens. 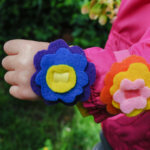 Yes, she’s only three and they turned out this cute. 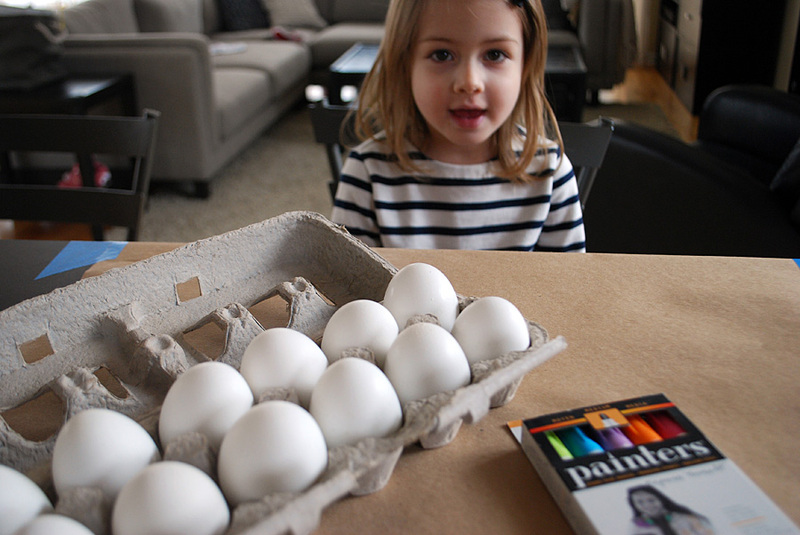 This free kid’s Easter craft idea is sponsored by Elmer’s. Thank you to the sponsors who help support Merriment Design! I only work with brands that I love and recommend. 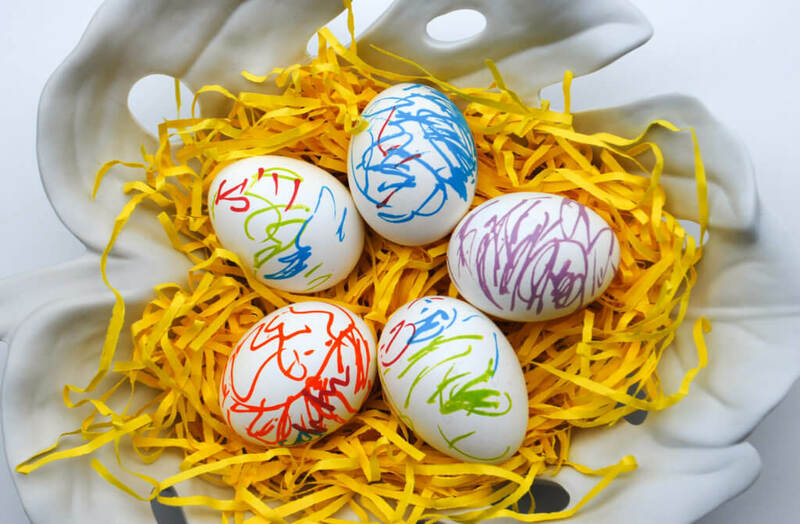 To celebrate National Craft Month, Elmer’s sent me Painters® Sherbet Swirl Paint Markers and Painters® Metallic Shimmer Paint Markers just in time for Easter, so I thought that maybe we could try them out on hard boiled eggs? Elise liked the pretty pastel colors so we opened up that set first, but I’ll be trying the metallic version for our Easter egg hunt batch, and I’ll paint numbers that correspond with her prizes. I have such a total soft spot for paint pens. In college, paint pen gifts were de rigueur and I spent many an evening personalizing plastic photo frames with sorority letters. 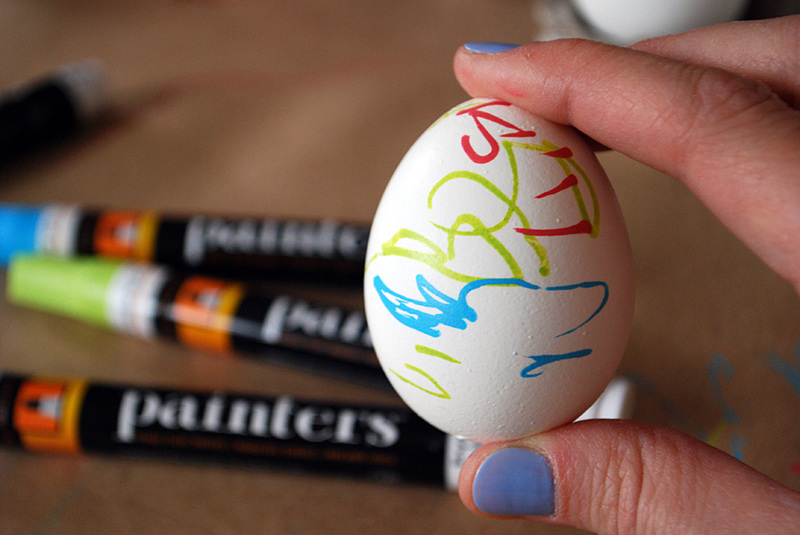 But even I wasn’t prepared for how well Painters® Paint Markers would work on eggs! 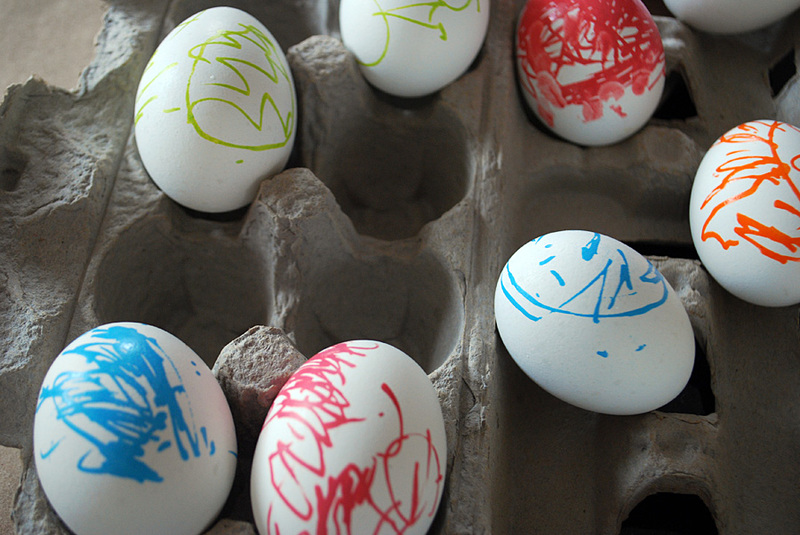 What a fun twist on egg decorating, and so throwback rediscover paint pens. And I’m happy to pass the fun onto Elise. 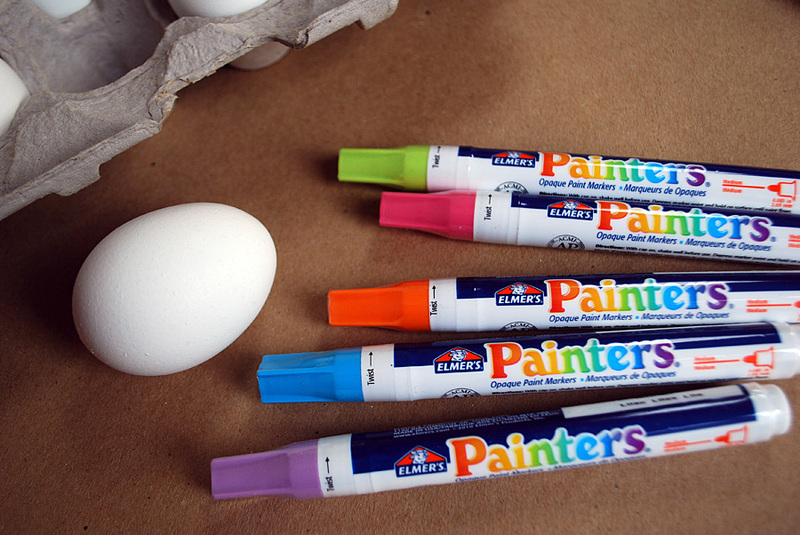 Get more Painters® Paint Markers inspirations on the Elmer’s Craft It! Facebook page. 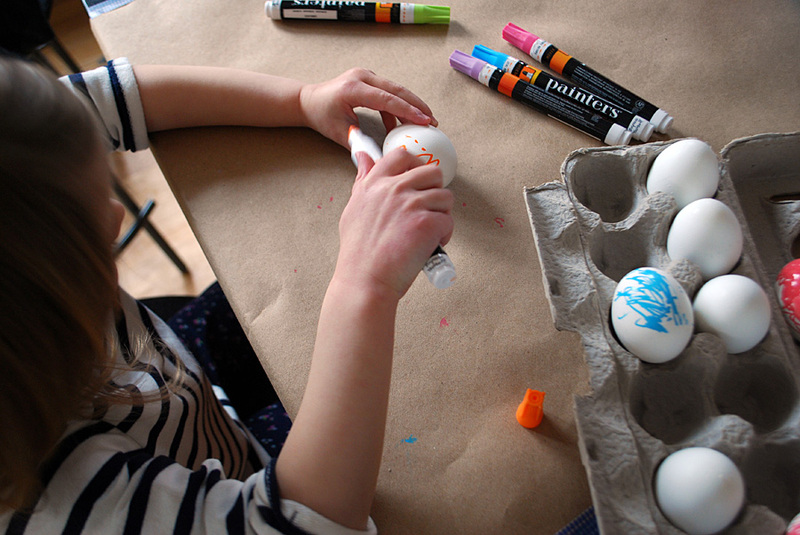 How will you use your paint markers? Hard boil a dozen eggs. Gather Painters ® paint pens in fine tip, medium tip, or chisel tip. We used medium. 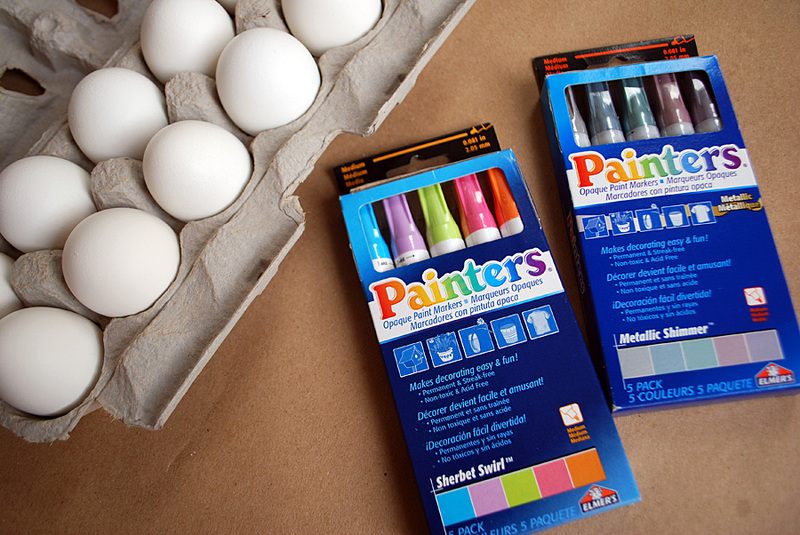 Here are the colors in the Painters ® Sherbet Swirl Paint Markers set. And here are the colors in the Painters® Metallic Shimmer Paint Markers set. Cover your working surface with paper to avoid paint where you don’t want it to be. Follow the package instructions to prime your pen and get painting! 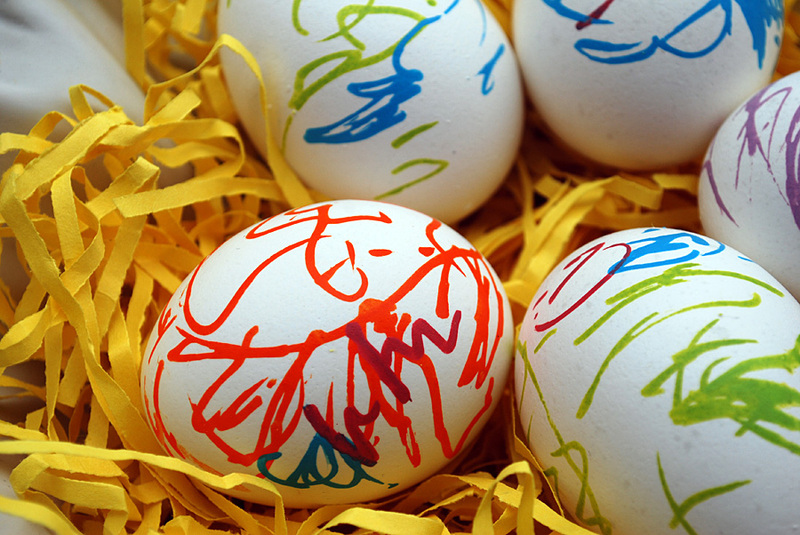 Let the egg dry between colors. You can see Elise’s tiny fingerprints on the pink egg which I had forgotten to warn her about. Good thing about paint pens is that once dry you can just color on top of it again, no mistakes here! And let them dry between coats. 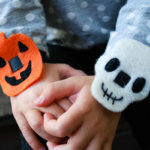 Enjoy (or hide!) your masterpiece. 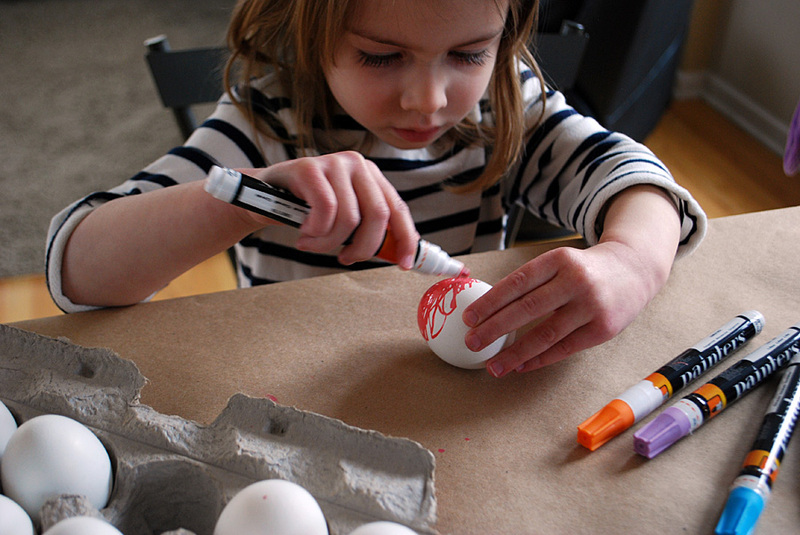 Be sure to pin this easy Easter egg decorating project for later. 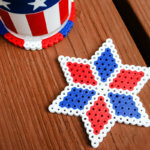 I love the designs! My only concern would be if the paint is non-toxic. 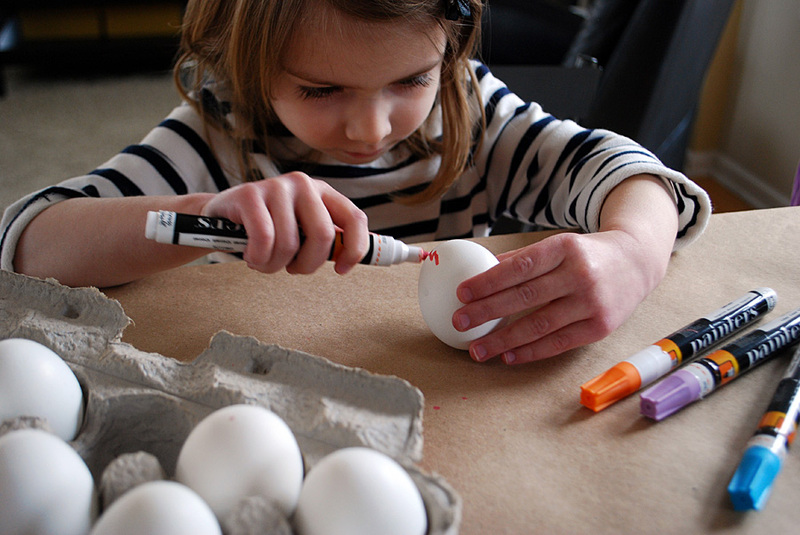 Egg shells aren’t very thick and they’re also pretty porous, so I’d be concerned with the chemicals from the paint getting into the eggs. Hi Natalie, that’s a good point. I double checked the paint pens and yes, they are non-toxic. 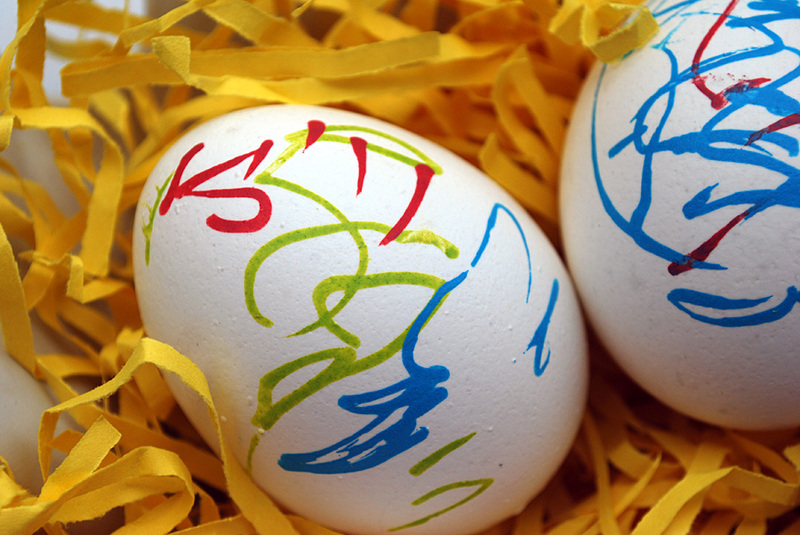 I usually don’t eat our decorated eggs because ours end up sitting out so long but I agree that it’s worth considering if you plan to eat them. Hope you had a nice Easter!